Heavy-duty translucent wallet expands and has a sturdy black cloth gusset and trim. Protective flap with elastic cord closure for easy transport. 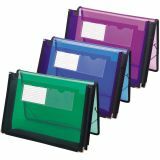 Two clear pockets on front with index card insert included. Smead 2 1/4" Expansion Ultracolor Wallet, Poly, Letter, Translucent Blue - Expanding wallet features heavy-duty polypropylene that resists tears, repels moisture. Includes black sewn fabric trim, sturdy cloth gusset, protective flap and elastic cord. Expanding wallet holds up to 200 letter-size sheets with a 2-1/4 expansion. 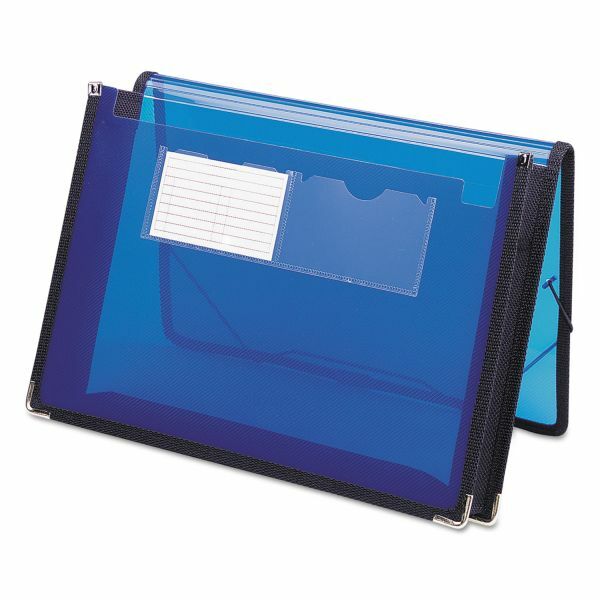 Two clear pockets on front for business, title or index cards. Includes index card.